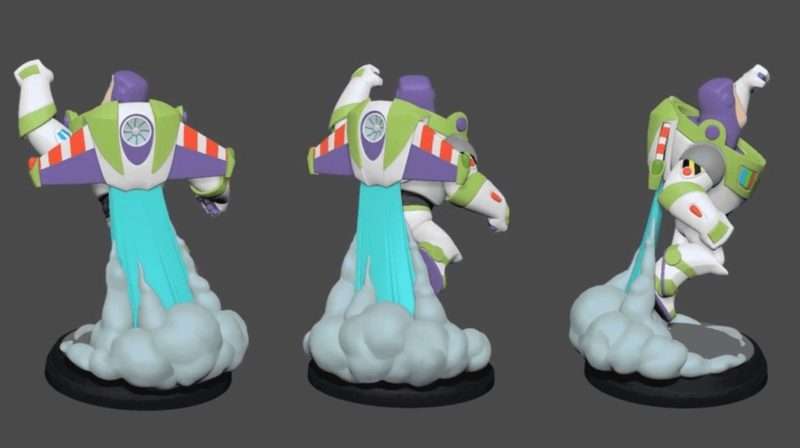 To celebrate the launch of Disney Infinity The Force Awakens content for Disney Infinity on the 18th, I want to give it all away! In helping to get a couple of winners, I’m going to spread the prizes out so different people can win. So here is how to enter to win the prizes…. Follow Infinity Inquirer on twitter (@InfinityInq) and RT the giveaway tweet! 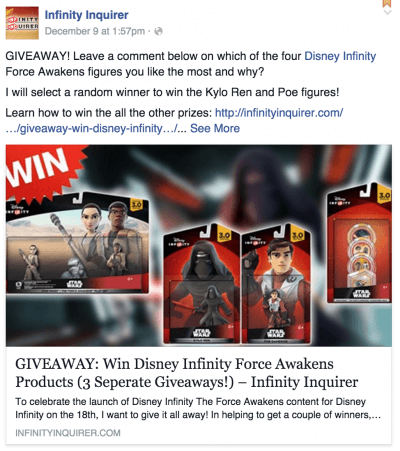 Head to Infinity Inquirer’s facebook page and comment on the Giveaway Link/Photo with which of the four Force Awakens figure is your favorite and why. There are two ways to enter win this prize. Enter either OR both ways for your chance to win! 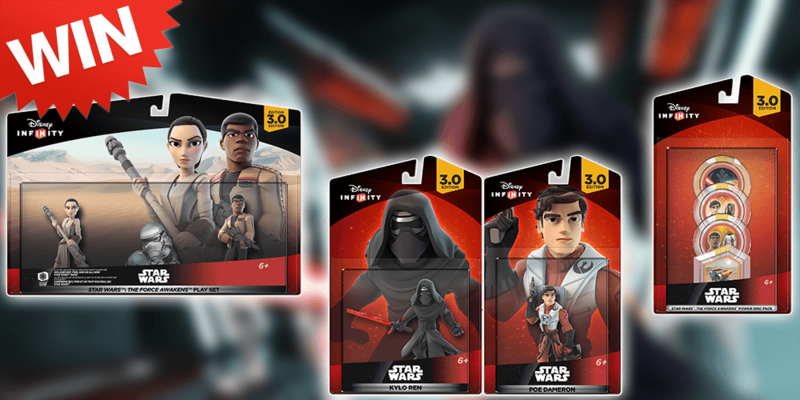 Follow @JasonInquires & RT this to win the @DisneyInfinity Force Awakens PDP! The giveaway ends on Wednesday, December 16th. That way I should have plenty of time (if you respond back to my message quick enough!) to get your shipping information so I can get it sent out to you to hopefully arrive on Friday or Saturday. Due to the nature of the quick shipment I’m hoping to have for this prize, this contest is only open to residents in the U.S.
Don’t forget to enter my mega Christmas holiday giveaway while you’re at it!